My name is Hope Arden. I am the girl the world forgets. It started when I was 16 years old. A father forgetting to drive me to school. A mother setting the table for three, not four. A friend who looks at me and sees a stranger. No matter what I do, the words I say, the crimes I commit - you will never remember who I am. That makes my life tricky. It also makes me dangerous.... The Sudden Appearance of Hope is the tale of a girl no one remembers, yet her story will stay with you for ever. Charlie meets everyone - but only once. You might meet him in a hospital, in a war zone, or at the scene of traffic accident. Then again, you might meet him at the North Pole - Charlie gets everywhere. Sometimes he is sent as a courtesy, sometimes as a warning. Either way, this is going to be the most important meeting of your life. 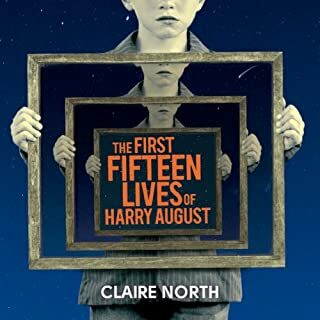 The End of the Day is the stunning new story from Richard and Judy Book Club author Claire North: the voice behind the word-of-mouth best-seller The First Fifteen Lives of Harry August. 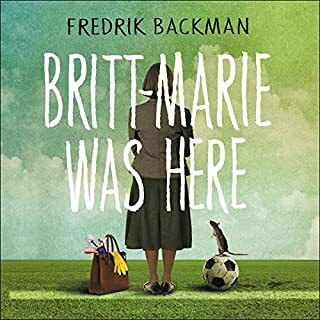 A madcap new novel from the one-of-a-kind author of The Hundred-Year-Old Man Who Climbed Out of the Window and Disappeared and The Girl Who Saved the King of Sweden. It's never too late to start again. And again. It's always awkward when 5,000 kronor goes missing. When it happens at a certain grotty hotel in South Stockholm, it's particularly awkward because the money belongs to the hitman currently staying in room seven. 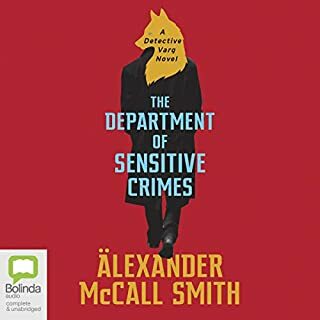 Featuring one violent killer, two shrewd business brains and many crates of Moldovan red wine, Hitman Anders and the Meaning of It All is an outrageously zany story with as many laughs as Jonasson's multimillion-copy best seller The Hundred-Year-Old Man Who Climbed Out of the Window and Disappeared. 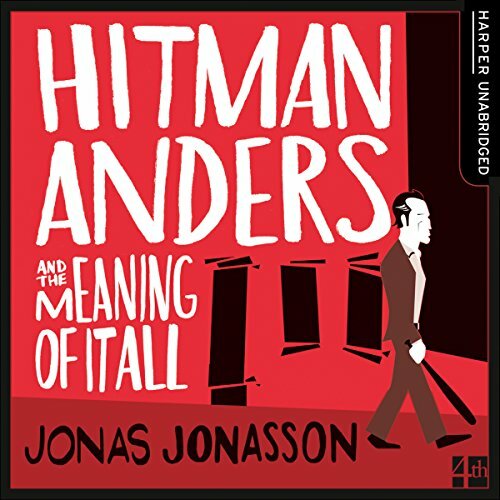 Hitman Anders follows much the same format as Jonasson's previous two books, The Hundred Year Old Man and The Girl Who Saved the King of Sweden. 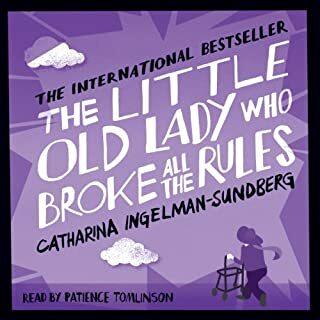 In each, an cast of unlikely characters come together in an even more unlikely combination, and a madcap adventure ensues. 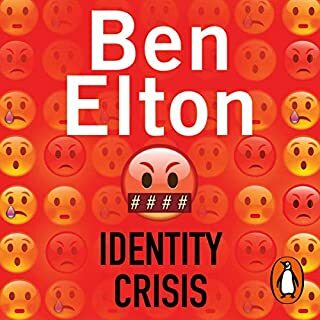 For those who have read / listened to either of the author's previous books, there is nothing really surprising here, and if you enjoyed those books, I'd highly recommend this one to you as well. The same unpredictable twisting plot and the same vein of light humour flows throughout this story. 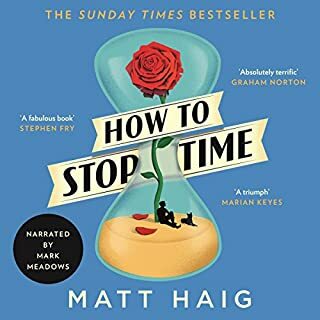 This is the type of book that, once you start listening to it, you just want to listen to more and more until, unfortunately, it's finished. I've listened to it on my commutes all week since I downloaded it and it's very much brightened them up. The translation is excellent, and the narration perfect. 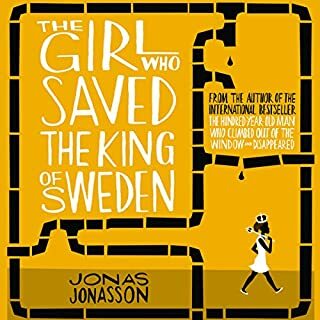 With The Girl Who Saved the King of Sweden I purchased both the Kindle version and the audiobook, and whilst I enjoyed both formats, the narration is so nice to listen to that this time I went only with the audiobook. My only reason to dock one star is that I don't feel it was quite up to the previous two, particularly the Girl Who Saved the King of Sweden. There seemed to be fewer laugh-out-loud moments, and the story almost "resets" at the end of each part, rather than building to a final climax like the previous two. Part 3 is very disappointing compared to the first two parts. 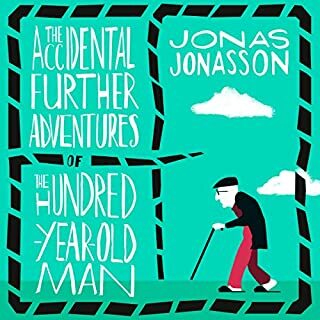 If you haven't read or listened to one of Jonasson's books before, I recommend you start with one (or both) of the other two. 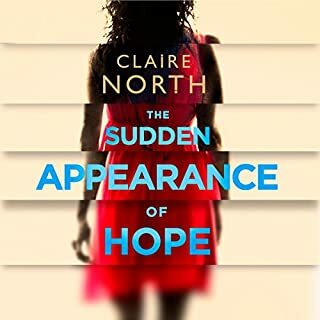 If you've already read or listened to those two books and you enjoyed them, then I'd still recommend this book to you, especially in audio form. Would you listen to Hitman Anders and the Meaning of It All again? Why? I'm not sure I'd read it again but it was great fun while it lasted. An amusing story, like reading the script of a Marx Brothers' movie! The three central characters are all good fun but the Hitman himself was very well portrayed by Peter Kenny. What about Peter Kenny’s performance did you like? He was the perfect choice for this book. His brisk, no nonsense reading underlined the comic elements and he never overdid anything simply for comic effect. There are certainly laugh out loud moments in this story. An entertaining way of spending a few hours. I'd be happy to listen to other books by the same author and will certainly look out for Peter Kenny as a reader. Well narrated and easy to listen to. A simple but great story. 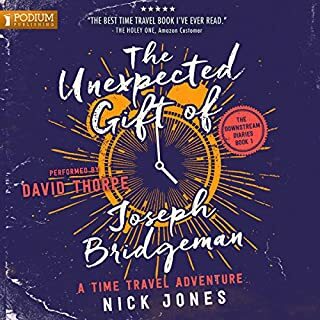 Really enjoyed this audio book, I have listen to the 100 year old man and enjoyed that too, but in parts (bits in the past) it was a bit too slow. However if you enjoyed the 100 year old man (especially the bits in the present) you will love this book even more. Fast, funny and enjoyable....only downside is it's not long enough! Great narrator also. Story is a bit static compared to previous book. Enjoyable, but not my favourite of his books. I did enjoy this, but with reservations. The narration was terrific, but I didn't care as much about the characters as I did in his previous books. When a deprressed receptionist, a priest without faith and a semi-retired, intelectually challenged hitman go into both robbing the underworld and evangelical preaching, they embark on a dangerous and hillaious journey of self discovery. 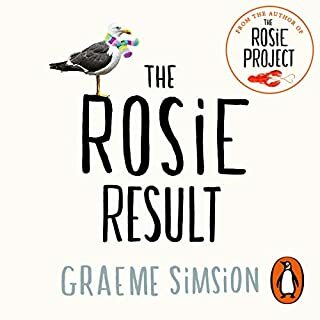 I honestly laughed out loud frequently listening to this superb story. I even managed a few moral ponderings too. 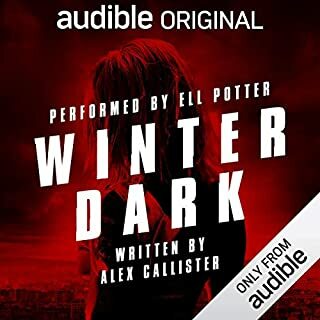 It was perhaps a bit deeper than I would normally go for on an audiobook but overall this has been one of the best audible purchases I have made to date. If you're in the mood for something a bit different, this might well be worth taking a chance on. The story is pretty good but I found the light and airy narration jarring. 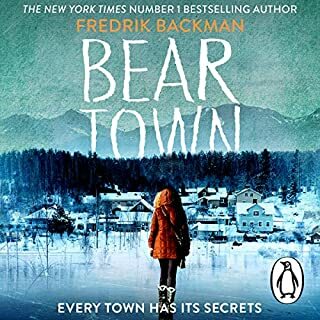 It may well be that others find it engaging but, by the last few chapters, I found myself hoping that the main characters would come to significant harm. A shame. What disappointed you about Hitman Anders and the Meaning of It All? I dragged myself to about 2/3 of the book and then stopped all together. 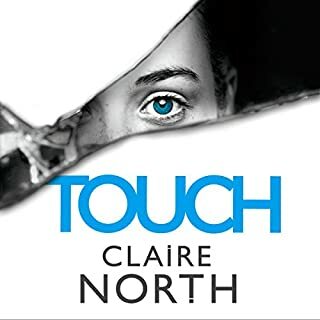 The book started of entertaining and had some fine moments, but I could never get into the characters and could not care the least what happened to them. In the end I just wished it would finally move on a bit and when it did not, I gave up. 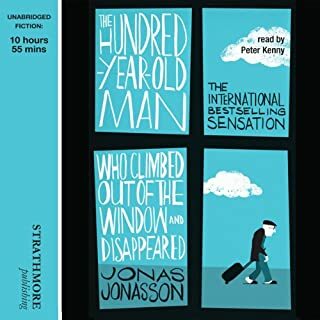 Would you ever listen to anything by Jonas Jonasson again? Although I enjoyed The 100 year old man, I will probably not read another one of his books, the last 2 were far below par. It feels to me like the writer found this gimmick in bringing a story, a bit quirky, over the top. It was fine the first and even second time, but by now it seems used and tiresome. Time to change your act, Mr. Jonasson. 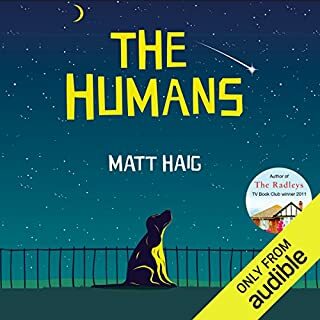 This was a relatively enjoyable listen but didn't grab my attention or make me laugh out loud unlike the previous books. 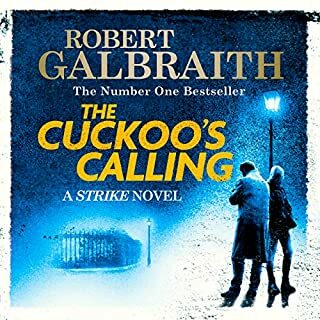 It was well narrated on the whole although I found one or two of the voices/accents chosen for characters to be a little grating. 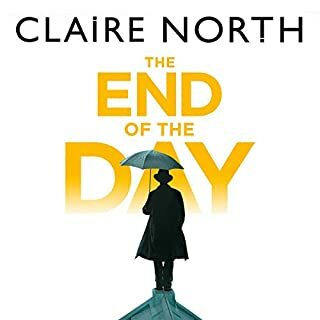 Worth a listen to pass the time without having to concentrate too much but a bit disappointing considering how much I had enjoyed the author's previous works.